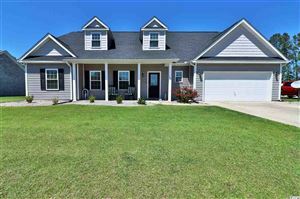 Welcome to the search page for Longs, South Carolina, a quiet community just 15 miles west of North Myrtle Beach, a few miles from the North Carolina state line, and very close to South Carolina and Brunswick County beaches. Longs, SC is just on the “other side” of the Waccamaw River from North Myrtle Beach, South Carolina. Longs, SC enjoys direct access to Conway, the Horry County “seat” via Highway 905 and to North Myrtle Beach, SC via Highway 9. Longs, SC is the perfect location for exploring the beauty of the Waccamaw River and yet only 15 minutes from the Grand Strand beaches. 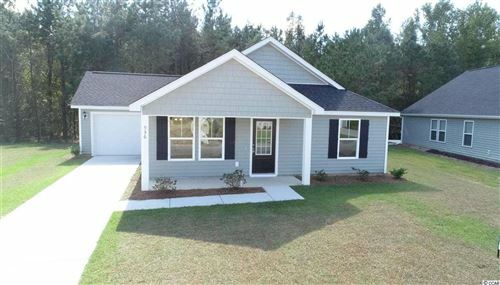 Nationally known home builders have developed neighborhoods of single family homes, condominiums and townhomes throughout Longs as an affordable alternative to more expensive North Myrtle Beach properties. Long Bay Club is just one community with custom homes built along a Jack Nicklaus-designed golf course. Homes at the Long Bay Club range between $200 and $500,000. Homes at The Long Bay Club are set on a magnificent Jack Nicklaus Signature Course that is consistently ranked among the top courses in South Carolina. New construction boasts cofferred and volume ceilings, recessed lighting, wood and tile floors in public areas and kitchens are equipped with stainless steel appliances, designer plumbing fixtures, custom cabinets, and granite counter tops! Homes at The Long Bay Club are in a mature, high-end community. So, when you own property in Longs you have the best of two worlds; you are away from the big city, yet still close to the beach! Many of our RE/MAX Southern Shores agents are licensed in both North and South Carolina and specialize in Long Bay Club properties. They can help you find the home, vacation home, investment property, or lot that you are looking for. Call RE/MAX Southern Shores, the #1 selling real estate agency on the Grand Strand, at 843-839-0200. You can talk with a RE/MAX Southern Shores agent who will listen to YOUR specific needs and find the perfect Long Bay Club property for YOU! We'll help you navigate through the extensive list of Long Bay, Longs, Little River or Grand Strand area real estate properties to find the right one! RE/MAX Southern Shores has three offices to better meet your needs, each with expert agents waiting to help you with all your Longs, SC real estate needs. Call 843-839-0200 today to begin your partnership with RE/MAX Southern Shores.